Jeanne DuPrau has been a teacher, an editor, and a technical writer. 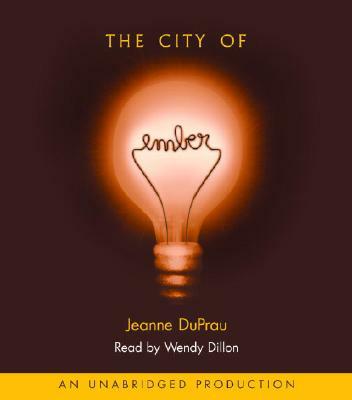 The People of Sparks is the sequel to The City of Ember and her second novel. She lives in Menlo Park, CA, where she keeps a big garden and a small dog. "DuPrau’s first foray into fiction creates a realistic post-apocalyptic world. Reminiscent of Robert O'Brien's Z for Zachariah, DuPrau’s book leaves Doon and Lina on the verge of the undiscovered country and readers wanting more." "Thanks to full-blooded characters every bit as compelling as the plot, Lina and Doon’s search parallels the universal adolescent quest for answers. An electric debut!" "Well-paced, this contains a satisfying mystery, a breathtaking escape over rooftops in darkness, a harrowing journey into the unknown, and cryptic messages for readers to decipher. The likeable protagonists are not only courageous but also believably flawed by human pride. The cliffhanger ending will leave readers clamoring for the next installment." "While Ember is colorless and dark, the book itself is rich with description. DuPrau uses the puzzle, suspenseful action, and lots of evil characters to entice readers into the story. They will find the teen characters believable and gutsy. Part mystery, part adventure story." "The device of a hidden letter, complete with missing words, is used with such disarming forthrightness that readers will be eagerly deciphering it right alongside Doon and Lina."